Despite being widely reported at the time and regularly repeated since, this story is utter nonsense. There never were any such regulations. 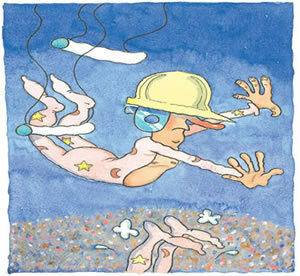 Hard hats do an excellent job of protecting building workers from falling debris - but they have no place on a trapeze.